HF400 Movable Belt Feeder can be used in several applications and easily combined with different layouts. 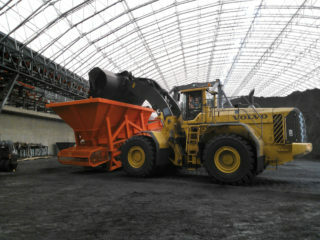 It can be used to feed a link conveyor or a stacker. 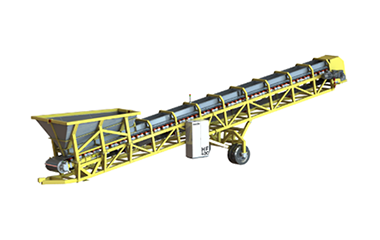 Also secondary use to feed an overland conveyor is possible. 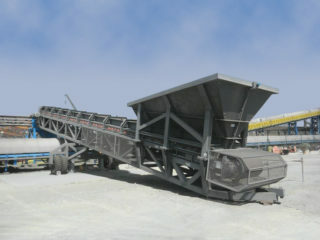 Movable Belt Feeder can be easily relocated to another position depending on the current need. 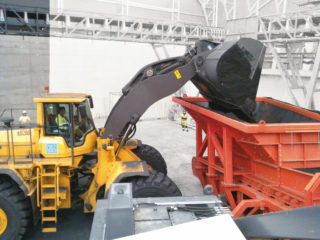 Towing point for front end loader is arranged in the tail end section. Movable Belt Feeder can be optionally delivered with Plug&Play Electrication. In the standard electrical cabinet a frequency converter allows soft starting and belt speed adjustment. It can also be connected to a communication bus to allow remote condition monitoring and control.